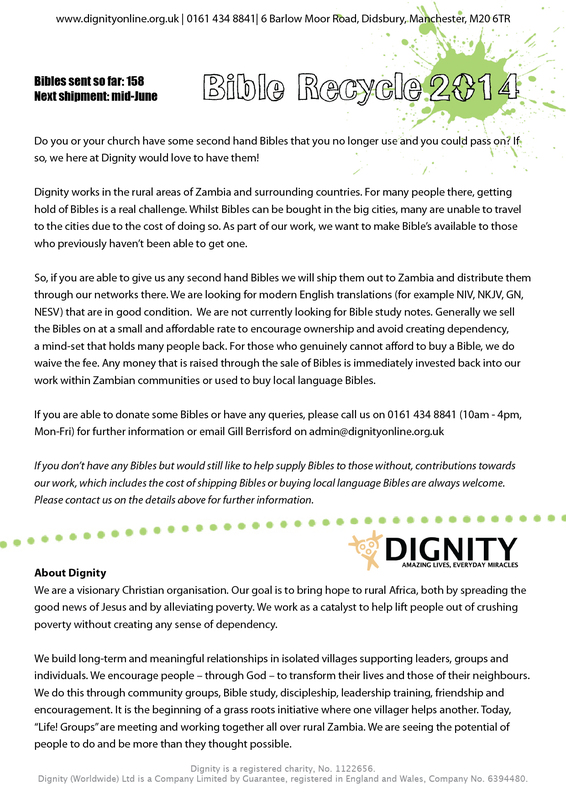 So far we have delivered 158 Bibles to Zambia & Namibia and some have already been passed on to those who didn’t have one. Our target is to send 400 Bibles out by the end of 2014 and our next shipment will be in mid-June. Can you help by sending us some Bibles before then?